With cutting edge statistical and data analysis capabilities, Nucleus Software’s Lending Analytics is a powerful and user-friendly solution enabling informed decision making through data visualization and business insight generation. The solution uses sophisticated predictive scoring models to allow various financial institution stakeholders to create scorecards that span the entire loan management life cycle—from lead generation to collection. The stakeholders may range from business owners and credit risk managers to analysts and marketeers. 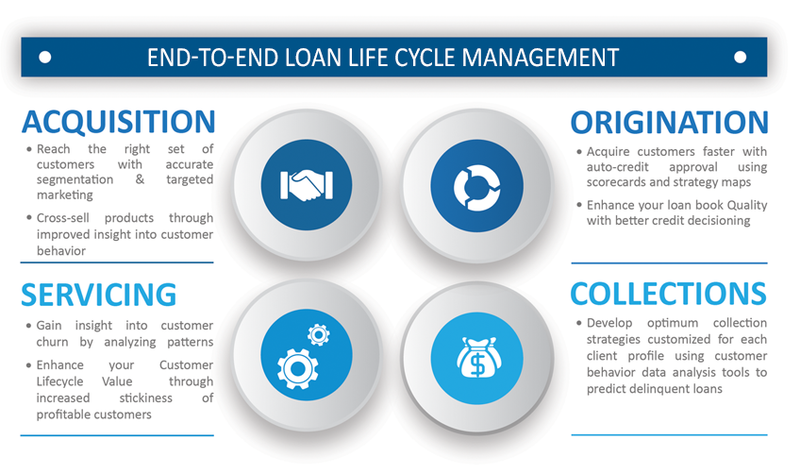 Nucleus Software's Lending Analytics solution focuses on the four key tenets of efficient end-to-end loan lifecycle management: Improved Lead Generation, Faster On-boarding, Comprehensive Loan Servicing and Efficient Delinquency Management. Combining the advantages of predictive, Nucleus Lending Analytics has been specifically designed for the lending industry, to help banks meet business objectives and make timely decisions based on the latest data.